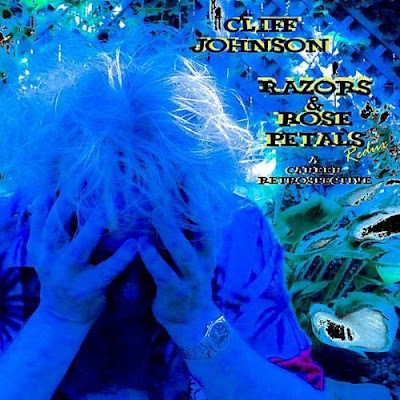 Cliff Johnson’s Razors and Rose Petals (Redux) takes his fans back to the days when Off Broadway ruled the Chicago club scene. The 29-track effort, which can be downloaded at iTunes, Amazon, and CDBaby, offers alternative or live versions of some of Johnson’s best tunes as well as some previously unreleased gems. It’s a lot to sort through at first, but after a few listens, Razors and Rose Petals (Redux) emerges as a testament to this distinctive singer’s abilities as a songwriter and an interpreter other artists’ material. It’s doubtful that Johnson views this sprawling collection as a masterpiece. With the occasional goofy song like “Hello Aloha” or live cover of a rare chestnut like Leslie Gore’s “Maybe I Know,” Razors and Rose Petals (Redux) is more of a fun scrapbook for sharing with friends. Johnson also seems to be nudging people toward his lesser known work; there are seven tracks taken from Off Broadway’s 1997 self-titled CD as opposed to only a pair from the much better selling On debut LP. Some of the tracks, like “Oh Yeah, Cecille” and “I Belong To Me” were well-received at live shows back in the day but somehow never made onto a recording before. An acoustic take on Off Broadway’s first hit “Stay In Time” is very effective, and a likewise spare arrangement for “Are You Alone” (one of two choices from Quick Turns) underscores the song’s romantic sentiments. “Mr. Ideal,” “Holiday,” “Satisfaction Guaranteed,” and “One, Two, Three” are solid power pop tunes that I believe have never been released before. Razors and Rose Petals (Redux) also includes the lilting holiday bonus track “Christmas Everyday” and a 10-minute live recording of “Full Moon Turn My Head Around” that captures the excitement of seeing Cliff Johnson cutting loose onstage. 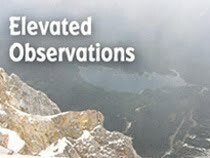 Johnson released Little Crimes, a CD of all new material, earlier this year. Cliff Johnson and The Happy Jacks will be performing at The Abbey Pub on January 1st.